Monuments and headstones are everlasting. Having been in business since 1877, Kistner Monuments understands the importance of memorialization. They tell who we are and where we come from, so finding the right one is exceptionally important. As aWe offer a wide selection of monuments in various styles and materials so you can find the best one for your loved one. We also offer professional monument services, including sandblasting and monument reset/leveling. We work hard to ensure that each client is satisfied with a monument that will speak to many generations to come. We back our work with a guarantee on material and workmanship. Many cemeteries have specific restrictions on the monuments allowed. Please read and understand the guidelines before purchasing yours. Monuments can be created in a wide range of styles, colors and materials. Flat or Flush Style Monuments - As you can probably tell, this style of monument rests very low, or flush to the ground. There are some cemeteries that require this type of monument to be used for both a uniform appearance as well as ease of mowing. Kistner Monuments wants to help you find the right monument to express the achievements of a lifetime. We offer single monuments, companion monuments, child monuments and veteran monuments in various designs. 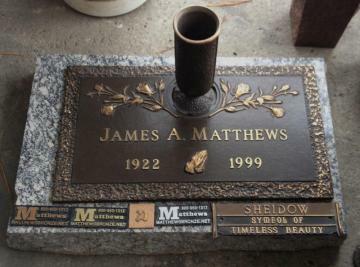 What better way to show how important your loved one’s life has been than with a quality monument. Single Monument - Single monuments mark a single plot. They can be found in a variety of shapes, sizes and colors. At Kistner Monuments, we help personalize your monument to commemorate your loved one's life. Child Monument - Kistner Monuments is so sorry for the loss of your child. We want to help bring comfort to your family by offering monuments that are tailored for your beloved child. Pet Monuments - The staff of Kistner Monuments knows that losing a pet is like losing a family member. Properly commemorate your pet with quality pet monuments and pet memorials. We offer a wide variety of items to meet your needs and your budget. Kistner Monuments can help you decide what monument material best suits your needs. Many different types of materials are used to make monuments. Today, marble, granite and bronze are the most commonly used materials. Granite - This is, by far, the most popular monument material used in today's designs. Granite is a good choice for most monuments because it is durable and can tolerate any climate. It also comes in a wide variety of colors and patterns. Because of it's dense nature, it is easy to achieve precision engravings. Marble - You will find a range of colors and patterns in marble, much like granite. However, it's important to consider quality when choosing marble as it is not as durable as granite; some cemeteries may not allow marble monuments.